VITA DVDS MAKE EXERCISE FUN ! Where in the world would you like to exercise? With VITA DVDs, you'll exercise longer and enjoy every minute! One customer wrote, "For once, 1 hour of exercise was enjoyable and I never looked at the display board once." Another said, "I actually look forward to exercising while watching VITA dvd's." To read more Customer Comments and Reviews, please click here. In the table above, please click on for a paragraph description of each Video, please click on the Title for a very detailed description with lots of photos, and please click on the small photo to view 3 to 7 minutes of video clips from each Video. When you've decided which Video Titles you wish to order, find one of the blue "CLICK HERE TO ORDER" boxes and click on either "Order DVD" or "Order Download" to begin the process of placing your order. Downloads will typically be ready to watch in 20 minutes or less. And we ship DVDs almost immediately! One or two DVDs are shipped First Class, 3 or more DVDs via Priority Mail and International Orders are shipped First Class International. We currently have over 50 different Virtual Experience Videos and DVDs which are listed here. All our DVDs are ALWAYS in stock and always available. VITA DVDs are made & tested in the USA! To keep prices low, these DVDs are not shrink-wrapped. Contact us if you wish to have a shrink wrapped DVD. iPads, Tablets, Computers, & Large Screen TVs: Almost all of our Videos are also available as 720P Downloads for only $6.99. Note: Sorry but Downloads do not contain any "Bonus Chapters." Your Security: Although it is SECURE, this website receives ABSOLUTELY NO CREDIT CARD DATA from our Customers. BEFORE you pay for your order, we transfer you to Paypal.com, one of the most secure websites in the world. We never see nor do we have access to any of your Credit Card Information. Rome - La Dolce Vita! Sorry but our $9.99 - 30 minute DVDs have to be purchased separately using the "Buy Now " Button at the bottom of each summary and not in combination with our $14.99 hour long DVDs. A SUMMARY OF EVERY DVD IS LISTED BELOW - FOR A MORE DETAILED DESCRIPTION PLUS 40+ PHOTOS, PLEASE CLICK ON ITS TITLE. Take a 60 minute walk on your treadmill or Nordic Track through la belle Paris. This New Walking Tour of Paris is so full of details that you'll notice something new every time you view it. During your 60 minute Walking Tour of Paris, you'll begin on the Left Bank of the Seine, walk past Notre Dame Cathedral, visit the outdoor booksellers along the Seine, walk through the courtyard of the Louvre Museum, through the gardens of the Tuileries, walk along the Champs-Elysées with its exclusive shops and sidewalk cafes, stop to admire the Arch of Triumph, visit the beautiful Luxembourg Gardens, push your way through the crowded streets of Montmartre, and last but not least, visit the Eiffel Tower at twilight along with hundreds of Parisians. This treadmill virtual walk is full of surprises - one minute you'll be walking along a quiet path in a park and the next you'll find yourself beside a bustling, crowded street. This 60 minute virtual walk is accompanied by the natural sounds just as they were recorded in Dolby digital Stereo in Paris. If you've ever wanted to visit the City of Light, then you'll enjoy your exercise sessions while "walking" in Paris on your treadmill! And, if you have visited Paris in the past, then you'll enjoy recalling the wonderful memories you made there! Take a 60 minute walk on your treadmill or Nordic Track through romantic Provence. With this 60 minute Virtual Walk Video you'll experience all the charm, the beauty, and the history of six French Villages far from the hordes of European tourists. 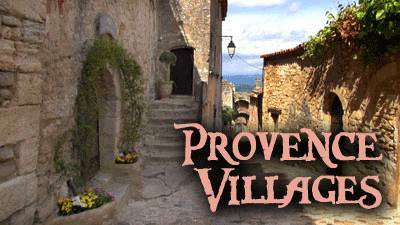 During your one hour Provence Villages Virtual Walk, you'll visit the villages of Viens, Lourmarin, Saignon, Lacoste, Ansouis, and Menerbes. You'll delight in the almost tourist-free streets in these romantic villages. Most of these villages date back to the Middle Ages and for one village, Lacoste, time appears to be standing still. But each one has its own unique history and charm - so much so that 3 of the villages have been designated, "L'un Des Plus Beaux Villages de France" by the French. This 60 minute virtual walk is accompanied by the natural sounds just as they were recorded in Dolby Digital Stereo in Provence. If you've read Peter Mayle's book series on Provence and wanted to visit the region, then you'll certainly enjoy your exercise sessions while "walking" in these six villages on your treadmill! And, if you have visited Provence in the past, then you'll enjoy recalling the wonderful memories you made there! 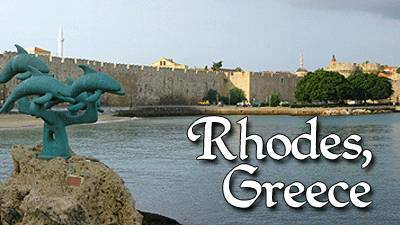 Take a 60 minute virtual walk on your treadmill or Nordic Track on the medieval Greek island of Rhodes. Famous since antiquity as the site of Colossus of Rhodes, one of the Seven Wonders of the Ancient World, the Greek town of Rhodes is considered one of the best-preserved medieval towns in Europe - and you can exercise in this amazing city! With this 60 minute Virtual Walk DVD or HD Video Download, you'll experience the charm, the beauty, and the history of one of the most scenic of the Greek Isles. Your 60 minute Virtual Walk begins early in the morning beside the Kolona Harbour in Rhodes and follows the east wall of the medieval city as it curves gently around the harbor. After entering the old town of Rhodes by passing through the Marine Gate you turn left and enter Platia Ippokratous and walk past its medieval fountain. Your one hour walk will cover not only the typical tourist sights of the old town but also the scenic back streets and alleyways that contain so much Greek charm. Take a 60 minute virtual walk on your treadmill or Nordic Track in beautiful, historic Florence, Italy - the birthplace of the Renaissance. During this one hour walking tour, you'll begin in Piazzale Michelangelo, with its breathtaking views of the city of Florence and walk to the Duomo where you'll take a look at the famous Baptistry and its Gates of Paradise, by Lorenzo Ghiberti. You'll visit Piazza della Repubblica where a typical Italian street market is in progress. 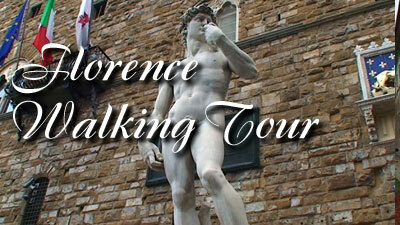 Next you'll walk through the Piazza della Signoria, where you'll first visit the Loggia dei Lanzi, an open-air sculpture gallery of antique and Renaissance art, then view a reproduction of Michelangelo's statue, David, and the famous Fountain of Neptune by Bartolomeo Ammannati. Then, after a walk through the Piazzale degli Uffizi, you'll follow the Arno River to the Ponte Vecchio, famous for its gold shops. Lastly, you'll explore some Medieval back streets before arriving at the Piazza di Santa Croce and viewing the famous Basilica di Santa Croce. This 60 minute virtual walk is accompanied by the natural sounds just as they were recorded in Dolby Digital Stereo in Italy. 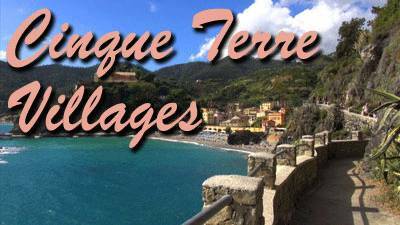 Take a 60 minute virtual walk on your treadmill or Nordic Track in the five timeless villages that make up Italy's Cinque Terre, a UNESCO World Heritage site. Like pearls on a necklace, these five centuries-old seaside villages, set against some of the most dramatic coastal scenery in the world, make up Italy's amazing Cinque Terre.This rugged portion of coast on the Italian Riviera is famous among both hikers and tourists alike and with VITA DVDs' one hour virtual walk, you can "walk" along segments of the hiking trails and in all five of the timeless villages - just as if you were actually there! This 60 minute virtual walk is accompanied by the natural sounds just as they were recorded in Dolby Digital Stereo in Italy. If you've ever wanted to visit the Cinque Terre, then you'll enjoy your exercise sessions while "walking" on your treadmill in the villages of Riomaggiore, Manarola, Corniglia, Vernazza, and Monterosso al Mare! 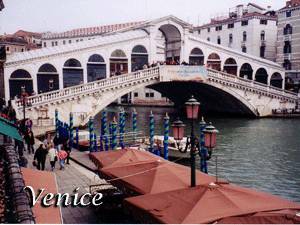 Take a 60 minute walk on your treadmill or Nordic Track through amazing Venice. In all the world there is only one Venice! And this Walking Tour of Venice is as close as you can get to actually being in this incredible city without boarding an airplane. In addition to touring most of the major sites in Venice on a crisp Autumn morning, you'll enjoy walking the narrow alleyways that open into beautiful campos and piazzas, some which are crowded with people while others are almost completely empty. This 60 minute virtual walk is accompanied by the natural sounds just as they were recorded in Dolby digital Stereo in Venice. If you've ever wanted to visit this amazing city, then you'll enjoy your exercise sessions while "walking" in Venice on your treadmill! 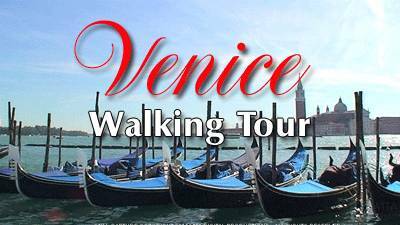 And, if you have visited Venice in the past, then this hour long walking tour video will help you to recall the wonderful memories you made there! Take a 60 minute walk on your treadmill to five of the most famous sites in Rome, the Eternal City. Your one hour walk will tour the Roman Forum, the Palatine Hill, Piazza Navona, the Pantheon, the Trevi Fountain, and the Coliseum. You'll walk the Via Sacra - or Sacred Way through the ancient Roman Forum, you'll pass the Temple of Antoninus and Faustina, the remains of the Basilica Aemilia, and the brick Curia - the Roman Senate, you'll pause at the Arch of Septimius Severus, you'll pass the Temple of Saturn and the Temple of Vespasian and Titus, and much, much more! This Walking Tour of Rome is the next best thing to being there. In addition to touring the five famous Roman sites, you'll enjoy walking the narrow back streets, dodging ladies on bikes and men on motorcycles as you pass numerous sidewalk cafes that populate every corner of Rome. This is certainly one of our most interesting and beautiful virtual walks for treadmills! 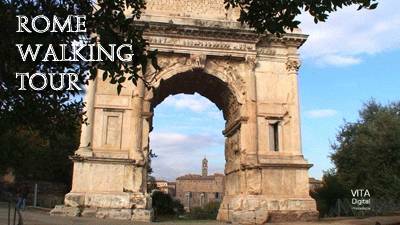 One treadmill owner who purchased the "Rome Walking Tour" video wrote: "Hi! My husband and I just absolutely enjoyed your walking tour of Rome... neither of us can believe how quickly our workout flew by! It was almost as great as being there!! We've already purchased the rest of the Italy dvd's and would love to know if and when you plan to release any more...either of Italy or France. I would buy them right away!!! Thank you so much...keep traveling and making these wonderful dvd's. It really helps us to want to stay in shape! Arlene"
Take a 50 minute Virtual Walk on the Isle of Capri! This Treadmill Scenery DVD begins in the picturesque town of Anacapri, set atop the famous island. Avoiding the main tourist trail through the center of town, you strike off on your own and walk down a small street lined with shops and intimate sidewalk cafes. After passing Santa Sofia, the main church of Anacapri, you enter the residential section where the locals reside. Venturing on past homes of the locals and dodging several motor scooters, the path eventually narrows and begins to hug the side of the cliff, with the blue Mediterranean Sea stretching out below you. Some of the most spectacular scenery awaits you along the walkway ahead. Your Treadmill Virtual Walk ends after exploring the grounds of the summer home of the Roman Emperor Tiberius, overlooking the sea. 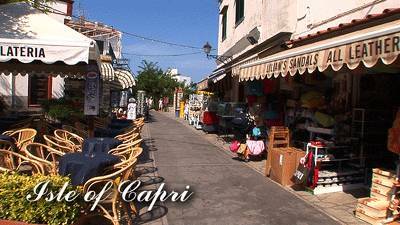 "A Day in Capri," a bonus chapter with a 10-minute featurette which takes a different look at the Isle of Capri, is also included on this DVD! Accompanied by beautiful music, the bonus chapter can be used as a cool-down from your exercise session, or as a beautiful stand-alone Italian travel video. You'll take a leisurely look at the little town of Capri and some of its exclusive shops. You'll also take a closer look at the town of Anacapri and some of its most scenic locales. So much beauty on such a small island! The featurette begins at the seaside Marina Grande, where visitors first land on the Isle of Capri. (Watch carefully for a famous TV comedy series star and his wife as they walk in front of the TV camera.) From scenic vistas to closeups of flowers, you'll enjoy the bonus chapter, "A Day in Capri." Larry B. wrote, "What I like best - besides being instantly transported to places that otherwise it would be impractical to visit - is the sense of immediacy, the sense of actually being there, that you get from watching these videos - as opposed to conventional travel documentaries. You have the impulse to say "hello!" to people walking past you, or to get out of the way of two and four-wheeled vehicles coming at you and from behind. Plus, I enjoy the sense of being in a continuous state of anticipation and discovery, of never knowing what's around the next bend, while being surprised and delighted with each succeeding vista." Take a 51 minute breathtaking Virtual Walk on your treadmill from Italy's village of Ravello down to the town of Atrani on the Amalfi Coast and through some of the most beautiful scenery ever! Ravello, the sister city of Amalfi and summer home of the rich and famous, is a natural jewel perched high on the hillside overlooking the sea. Ravello, overlooked by the hoards of tourists, is perched high on a hillside and offers the best vistas on the Amalfi Coast. This is certainly one of our most stunningly beautiful Virtual Walk DVDs! Only a small number of travelers to Italy will have the opportunity to see such unparalleled natural splendor and beauty. This treadmill scenery walk ends at the beach in the picturesque coastal village of Atrani. One Customer who purchased our Ravello to Atrani DVD wrote, "Hi! I just had to tell you how much I LOVE this DVD! This DVD is superbly made, I can't believe how realistic it is - it's like I'm really there! A particularly pretty scene was going by on the left and I actually turned my head to keep looking at it it was so real - imagine the disappointment of seeing my funky old basement steps instead - LOL! You will DEFINITELY be seeing more orders from me - these DVD's will keep me walking! They make an otherwise boring treadmill workout something to look forward to! Thank You so much! Missy"
Another Customer who purchased this DVD wrote, "I received your DVDs yesterday and I want to thank you for such prompt service. I watched the first one... Ravello to Atrani... and had the best walk on the treadmill I ever had. The DVD was breathtaking. I will be blabbing about it to anyone that will listen... it's just that great. Thank you again, Willie"
This DVD will take the viewer on a 57 minute Virtual Walk in historic medieval Viterbo, Italy, a city frozen in time. Filmed in widescreen, the camera seems to float as it transports the viewer through the medieval back streets and alleyways of a city still much like it was in the 13th century. Starting in the Piazza del Morte you walk to the Cathedral of S. Lorenzo and the Palazzo dei Papi, home of the pope for two decades in the 13th century. From there your walk continues through a maze of medieval back streets and alleyways, essentially unchanged for eight centuries. Many streets are too narrow for cars and in those empty streets and alley- ways you can imagine that you are back in the 13th century. The historic center of the city is surrounded by medieval walls, still intact, built during the 11th and 12th centuries and your walk takes you through the Porta Romana. From time to time the camera pauses to take in an ancient fountain or a scenic view. 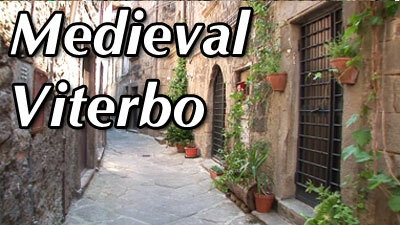 The 57 minute walk is accompanied by the natural sounds recorded in Viterbo. It's the closest thing to actually being there. A 60 minute walk through seven quaint Oxfordshire villages so beautiful that they were used as filming locations for the hit BBC TV Series, "Midsomer Murders." With this DVD, you could be instantly "walking" in seven of the most scenic villages in Oxfordshire! Your time spent exercising on your treadmill, elliptical or Nordic Track will "fly by," you'll exercise longer and enjoy every minute! And, if you're a fan of "Midsomer Murders," you should recognize many of the places you pass during this 1 hour video. 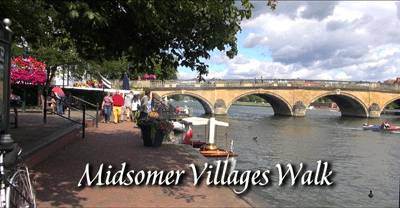 Your 60 minute Virtual Walk begins beside the river in the village of Henley-on-Thames. The walk beside the Thames is crowded with people enjoying a sunny August day. Ahead is the Henley Bridge with its five elliptical stone arches, built in 1786. Turning left we cross the street, walk past St. Mary's Church and walk through the village center. Next we enter the village of Dorchester-on-Thames and first pass Dorchester Abbey. Then turning onto High Street we pass the George Hotel, one of Britain's oldest coach inns, which dates back to the 15th century. Walking further down High Street, we come to the village's War Memorial. We next enter Warborough and begin our village walk in the grounds of the parish church of St. Laurence. We then turn into the village center, walk past numerous cottages and cross the village's cricket field. After crossing the cricket field, we pass by the Six Bells, a beautiful English Pub dating from the 1600's in the heart of the village and then past some more attractive Oxfordshire cottages. Next we enter Ewelme, and through the grounds of the 15th-century parish church of St. Mary the Virgin. This quiet village is the perfect place to rest by a small pond and watch the ducks play. Then it's on to Watlington, a market town in the Chiltern Hills with several half-timbered structures. Many 16th- and 17th-century cottages and houses survive today in Watlington and some have been little altered. Of course, the village has its War Memorial proudly displayed, one of about 100 free-standing war memorials in Oxfordshire. Then on to the small village of Lewknor and through the grounds of St. Margaret's parish church. Leaving the church grounds we turn right and follow High Street, where many of the cottages in Lewknor are built using flints. It's appropriate that we saved Wallingford for our last village to tour. Wallingford has a strong history in the fictional murder mystery genre. Agatha Christie, who is buried at nearby Cholsey, lived and worked in Wallingford and Wallingford is the filming location of Causton in the TV series "Midsomer Murders." Turning right onto High Street, we pass another 16th-century coaching inn, The George Hotel. Your one-hour Midsomer Villages Walk ends, where it started 60 minutes ago, beside the River Thames. A 60 minute walk through four quaint Cotswold villages. Your treadmill walk begins in the village of Chipping Campden, a small market town in the Cotswold district of Gloucestershire, where on High Street, you pass through the famous Market Hall built in 1627 by Sir Baptist Hicks. Your virtual walk then continues through the village of Broadway, often referred to as the "Jewel of the Cotswolds." Broadway is a center for arts and antiques and has a unique character all its own with tea rooms, inns and pubs, all clustered near the expansive village green. Next you walk through the village of Upper Slaughter, where your walk takes you briefly into an old church lovingly decorated by villagers with a profusion of flowers from their gardens. Upper Slaughter was identified by author Arthur Mee as one of 32 "Thankful Villages." In "Enchanted Land" (1936), he wrote "that a Thankful Village was one which had lost no men in the Great War because all those who left to serve came home again." Your walk ends in Lower Slaughter, arguably one of the most beautiful villages in the Cotwolds, where most of the 16th and 17th century homes in the village use Cotswold sandstone and are adorned with mullioned windows and often with other embellishments such as projecting gables. 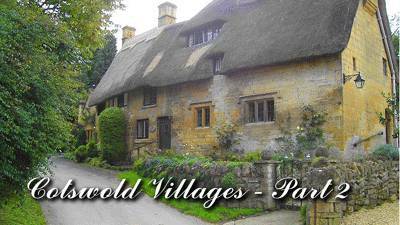 A 60 minute walk through 5 more picturesque Cotswold English villages. The first part of your treadmill walk begins outside of the charming village of Snowshill - so picturesque that it was used as a filming location for the BBC's "Father Brown," S2 E5. Continuing on with your walk, you pause for a moment beside the Church of St. Barnabus and its old graveyard with so many stories to tell. Your walk continues as you next enter the village of Stanton where you pause to take in a lovely thatched-roofed cottage. Then you next enter the picturesque village of Bourton-on-the-Water. The idyllic village of Bibury is next on your walk. And last, your 60 minute walk takes you into arguably the most scenic village in all of the Cotswolds, Castle Combe. This quintessential old English Village has been the setting of numerous TV programs including an Agatha Christie's Hercule Poirot mystery along with the children's motion picture, Dr. Dolittle. Steven Spielberg's production of War Horse, nominated for 6 Oscars, along with the motion pictures Stardust and The Wolfman were filmed in this picture-postcard English Village. 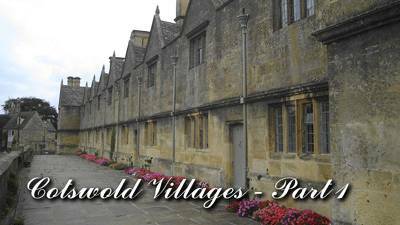 Another Customer who purchased "Cotswold Villages - Part 2 DVD" from our AMAZON Store said, "This is a great dvd. I use it while riding my exercise bike. The scenery is lovely and every bit as good as Cotswold Villages Volume 1. I actually look forward to exercising while watching Vita dvd's. I have several of them and have enjoyed each of them but so far the Cotswold ones are my very favorite." A 60 minute walk through 5 more incredibly picturesque Cotswold English villages. This 60 minute Cotswold Villages Virtual Walk - Volume 3 begins beside a small stream just outside the historic village of Adlestrop, in Gloucestershire, England. After a short walk, you come upon the idyllic village of Adlestrop. You then turn onto a gravel path to Adlestrop's historic church. Both the church and the village itself have a direct link to Jane Austen and her book, Mansfield Park. Jane Austen visited relatives here and it is said that not only many of the fictional places in Mansfield Park were based on actual manor houses in Adlestrop, but many of the plot lines paralleled the lives of its villagers. But Adlestrop is best remembered because of the poem, “Adlestrop,” by Edward Thomas, one of England's most important poets. The next section of your walk takes you to Lechlade-on-Thames and across Halfpenny Bridge, so named because that was the toll charged to pedestrians to cross it until 1839. Once in the village, you come to St. Lawrence Church, a Grade 1 listed building which dates from the 15th century and whose churchyard inspired the poet Percy Shelley to compose "A Summer Evening Churchyard" during a visit to Lechlade in 1815. Next, you walk through Naunton, and after crossing the bridge over the River Windrush, you enter a shaded street, walk up a hill, and enter the grounds of St. Andrew's Church. After touring the grounds of the church, you walk down the hill and stop to take a look at the river. The next section of your one hour virtual walk begins outside the small village of Stanway. Following the Cotswold Way Walking Path, the impressive Gatehouse to Stanway House appears, a Grade 1 listed Jacobean manor house constructed in the late 16th and early 17th century. Later on, you view a cricket pavilion which Peter Pan's James Barrie, after staying in the nearby Stanway House, gave as a gift to the village. You next tour Icomb, a peaceful village of only about 200 villagers which has numerous honey- colored stone cottages which date to the 17th and 18th centuries. Icomb’s church of St. Mary the Virgin was built in the mid-13th century, while the tower dates to the 16th century. Your one hour Cotswold Villages Virtual Walk - Volume 3, ends with a spectacular view of the English countryside. 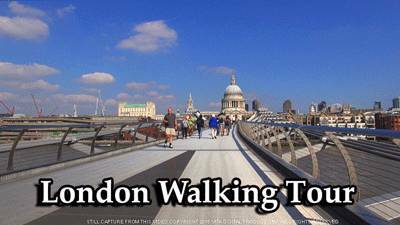 This video will take you on a one hour Walking Tour to many of the famous sites and locations in London. Filmed in widescreen using professional High Definition Television cameras and camera stabilization equipment, the camera seems to float as it transports the viewer through different sections of the city of London. Your London Walking Tour begins beside the Diana, Princess of Wales Memorial Fountain in Hyde Park and continues through the park until you reach the Prince Albert Memorial in front of the Royal Albert Hall. Next, your tour takes you to Covent Garden and on to Leicester Square and then Trafalgar Square. From there you enter busy Piccadilly Circus before proceeding to quiet Green Park on your way to Buckingham Palace. Next, you walk to Westminster Abbey, then cross the Parliament Bridge and then pause to turn and view Big Ben and Parliament before walking on to the London Eye. Then, starting at the Globe Theatre, you cross the Millennium Bridge and enter the grounds of the iconic St. Paul's Cathedral. Lastly, your one hour walking tour of London takes you to the Tower of London to view the moving artwork "Blood Swept Lands and Seas of Red" which marks one hundred years since Britain's involvement in the First World War. The art installation will eventually hold a total of 888,246 ceramic poppies, each one representing a British military fatality during the war. After walking around the Tower of London, your walking tour of London ends near Tower Bridge. 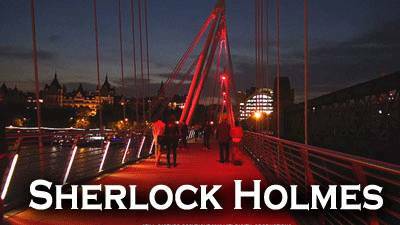 This video will take you on a one hour walk to sixteen filming locations used in the hit BBC Television series about Sherlock Holmes. Filmed in widescreen using professional High Definition Television cameras and camera stabilization equipment, the camera seems to float as it transports the viewer through 16 different locations in London and Dartmoor. With this 60 minute Virtual Walk Video you'll visit at least one of the exterior filming locations used in each episode of the first three seasons of the television series. During your one-hour Sherlock Holmes Virtual Walk you'll visit the location where John Watson encountered his old chum, Mike Stanford, sitting on a park bench. It was Stanford who told John that Sherlock Holmes was looking for a flat-mate. Later on you'll visit the location where Sherlock and John sit in a restaurant awaiting a murderer. Then you'll tour filming locations in Chinatown, Trafalgar Square, the Hungerford Bridge, and Piccadilly Circus. You'll walk to Buckingham Palace, to 44 Eaton Square where Irene Adler resided, to the iconic Battersea Power Station, and even a tor in Dartmoor. You'll visit St. Bart's Hospital and see the location where Sherlock fell to his "death," to 221B Baker Street where Sherlock and John shared a flat, to Westminster Bridge where Sherlock and Mary, on a motorcycle, raced to save John's life, and to the Blue Bridge in St. James' Park used in the episode titled, "The Sign of Three." And lastly, you'll travel to one of the most unusual filming locations in the series: Leinster Gardens and its two false façades used in the episode titled, "His Last Vow." If you're a fan of the BBC television program, you'll certainly enjoy "walking" to some of the unique filming locations used in the hit series. Even if you've never watched a single episode, you'll still enjoy visiting some of the most interesting locations in London. 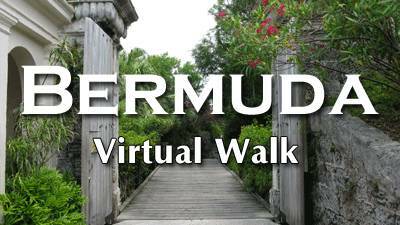 Take a 60 minute virtual walk on your treadmill or Nordic Track on the island of Bermuda. This DVD will take the viewer on a 60 minute Virtual Walk through Hamilton and St. George, Bermuda. Filmed in widescreen using a professional TV camera and camera stabilization equipment, the camera seems to float as it transports the viewer through some of the most historic and beautiful scenery in Bermuda. Your 60 minute Bermuda Virtual Walk begins at Barr's Bay Park next to the Royal Bermuda Yacht Club. After a short walk on Pitts Bay Road you turn and enter Queen Elizabeth Park, considered a premier park and a recreational area within Hamilton City. Leaving Queen Elizabeth Park, you next enter Victoria Park, with its sunken garden, lawns, and flower beds in the traditional English style. Next, beginning at the St. George's Club, you walk down Rose Hill Street to St. George's beautiful waterfront. Next, you cross a bridge to a small island and pause to take a look at the replica ship Deliverance before touring some of St. George's interesting and picturesque back streets and alleyways. This is the "real" Bermuda, tropical plants, pastel homes and something "visually interesting" to enjoy around every corner. Your one hour walk then takes you not only onto the grounds of St. Peter's Church, said to be the oldest continuously used Anglican church in the Western hemisphere, but also to the ruins of the "Unfinished Church" in St. George, an elegant shell built in the 1870s whose construction was never completed, then into Somers Garden, a tropical oasis with ti plants and beautiful walkways. For the final section of your one-hour Bermuda Walk you return to the city of Hamilton and to the grounds of Fort Hamilton and down to its old moat which, years ago, was turned into a tropical garden with plants of every description thriving in a lush sunken garden. Your 60 minute Bermuda Virtual Walk ends at Fort Hamilton with a view of the harbor. Take a 60 minute Virtual Walk through the Irish Woodlands on a spring day. 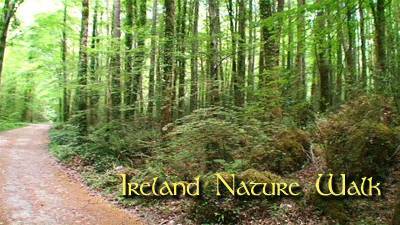 The 1 hour Ireland Nature Walk DVD begins on a spring day deep in a forest in western Ireland. As you turn and head down a woodland path, you notice that the Irish forest is populated with a variety of plants. During your walk you pass through brick and stone walls on the grounds of an historic Irish country estate. The walk constantly presents you with divergent paths to take. The Irish forest is alive with bird sounds on a spring day. Walking further on the path takes you ever deeper into the forest. You are alone in the green woodlands - a solitary walker deep in a mature Irish forest. The woodland in spring takes on a new life, as the trees begin to grow with a new vitality. Ireland in May is a walker's paradise. Your treadmill walk is filled with an idyllic natural environment where moss and ferns interplay with old-growth cedar and fir trees. Nature lovers will appreciate this peaceful walk. Your 60 minute solitary walk in the Irish woodlands ends at the remains of a rock wall. One Customer who purchased the "Ireland Nature Walk" wrote, "I wanted to thank you so much for your wonderful dvd's. I bought the Ireland and Scotland dvd's about a month ago and just love them. I'm medically retired and suffer from PTSS and when I watch these dvd's of the walks through the countryside, I feel like I'm actually there and it's makes me feel good. I deeply appreciate your successful efforts in putting these fantastic walks on dvds. Thanks again, M."
Another Customer who purchased our Ireland Nature Walk DVD from our AMAZON Store wrote, "I have several of these and for me they are so worth it. My dream of visiting these places is not going to happen. I love being able to experience these places while walking on the treadmill. I feel they are very well done. They offer you choices of whether to listen to music or the natural sounds. Options are nice. This purchase was totally worth it to 5.0 out of 5 stars I LOVE IT!!!!!! !, L.W." Take a 60 minute Virtual Walk through the cities of Galway and Limerick in Ireland. 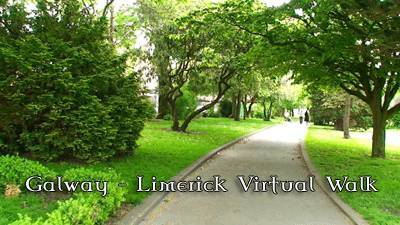 Your 60 minute Virtual Walk begins outside the Kennedy Park in Galway walking towards Williams Gate. You pass through busy Shop Street, crowded with shoppers then walk towards Bridge Street where you turn right and enter a greenway that follows the River Corrib. From time to time you pause to take in the beautiful scenery that surrounds you then, continuing on, you walk along Newtownsmith Street. The next section of your Galway walk takes you through Buttermilk Walk and then through Buttermilk Lane, then through an indoor shopping mall before returning to busy Shop Street. But this time, we take a left down High Street past numerous Irish pubs and cross Father Griffin Road and come to Galway Bay and on to The Long Walk - a street that parallels Galway Bay and where the Galway section of your walk ends. The Limerick section of the walk begins beside scenic George's Quay and then passes the Mariners' Memorial beside the Shannon River. The 60 minute walk next takes you to Limerick's Peoples' Park, the city's principal park. Next, you experience Limerick's shopping district, not quite as busy as Galway's streets. You'll follow O'Connell Street and pass a statue honoring a rugby player and a hurler. And after pausing to view Limerick's historic Treaty Stone, your 60 minute treadmill walk ends near Thomond Bridge. Take a 60 minute Virtual Walk through four different locales in Egypt and 4,000 years of history! Your Egyptian treadmill walk begins on the Giza Plateau, beside the Pyramids - the only remaining of the "Seven Wonders of the Ancient World." On your walk, you get close enough to the ancient blocks of stone to almost touch them. And, as your walk continues, you pass other visitors and Egyptians on camels. Your walk next takes you to one of Egypt's best preserved temples, the Temple at Philae dedicated to the Egyptian Goddess, Isis. This temple was moved to a new island by international effort to save it from being submerged by a change in water level caused by the construction of the High Dam at Aswan. Next your walk takes you to the Temple of Isis at Edfu dedicated to the Egyptian God Horus. Of all the temples that still exist in Egypt, the Temple of Horus is the most completely preserved. Your 60 minute walk ends with a walk in the famous bazaar at Khan el Khalili in Cairo. 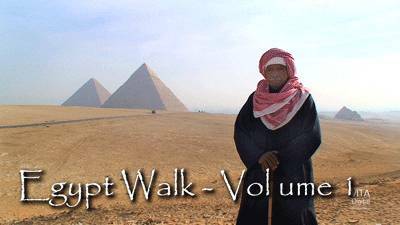 One Customer who purchased the "Egypt Walk - Volume 1" wrote: "I just wanted to tell you again how much we have enjoyed these dvds. We will definitely be buying more. My 10-year-old son, who is homeschooled, enjoys these as well. We had just finished a study on Egypt and he found the Egypt dvd fascinating. Thanks again, L.M." Take a 60 minute Virtual Walk through one of the most exotic cities in the world! Istanbul... exotic, mysterious, steeped in the history and the grandeur of sultans, mosques, souks, spices, and Turkish carpets so grand that one feels able to fly away into a world of fantasy! This video contains the sights and sounds of a walk recorded on a sunny day in November, walking in the midst of a sea of faces. Your 60 minute Exotic Istanbul Virtual Walk begins by crossing the Galata Bridge which spans the Golden Horn. It's early on a November morning and the camera passes fishermen on the bridge before entering one of the many street markets in Istanbul. Everything you can imagine is for sale here in the ancient narrow streets. Soon you enter the Spice Market - also known as the Egyptian Bazaar - which is the second largest covered shopping complex in Istanbul. After leaving the Spice Market, you climb a steep street market, dodging the shoppers and men with carts coming down the hill. Then it's on to the Sultan Ahmed Mosque (also known as the Blue Mosque) and a quick tour of its courtyard before leaving for a walk in the direction of Hagia Sophia, eventually passing through the Imperial Gate and into the First (outer) Courtyard of the Topkapi Palace with its beautiful tree-lined wide walkways. Next, another quick tour of the courtyard of the New Mosque built in 1597. Then on to a modern pedestrian only shopping district before entering the Grand Bazaar for a 10 minute tour. The Grand Bazaar is one of the oldest covered markets in the world and has over 3,000 shops which attracts over 250,000 visitors daily and you'll zig and zag in order to dodge most of them. Leaving the Grand Bazaar, you walk briefly in a tranquil park before heading downhill to a busy street and a walk back towards the Galata Bridge, where your 1 hour Exotic Istanbul Virtual Walk ends. This DVD also has a 7 minute Bonus Chapter, "Bosphorus Magic," with scenes of a Cruise on the Bosphorus set to beautiful music - which can be used either for a "warm up" or "cool down." One Customer who purchased the Exotic Istanbul DVD from our AMAZON Store wrote: "This is an amazing dvd! It is a fascinating look at Istanbul. The minutes fly by while you enjoy seeing this foreign culture. I especially liked the walk through the Bazaar. The photography is excellent. You feel like your are right there. This item was well packed and shipped quickly. I am so glad I discovered Vita Dvd's. I have purchased several and will be reviewing each one as I watch them. I highly recommend this dvd! C.R." Why not Exercise on your treadmill in Newport, Bar Harbor, Acadia National Park, and along Nova Scotia's Cabot Trail? During your 60 minute virtual walk in on this DVD or High Def Download video, you'll delight in the scenery and the sounds of nature around you. Just imagine, while you exercise you'll experience a walk along the famous Cliff Walk, considered one of the top attractions in Newport, Rhode Island. The Cliff Walk runs between many of Newport's famous gilded mansions and the sea. You'll enjoy the Coastal Path in Maine, considered one of the iconic trails in Acadia National Park. You'll walk along the Shore Path in beautiful Bar Harbor, Maine, with its multi-million dollar estates on one side, and open expanses of the sea on the other. And finally you'll exerience the famous Skyline Trail in Nova Scotia's Cape Breton Highlands National Park. This hour long virtual walk certainly has some of the most incredible scenery of any of our videos and will make your next exercise session FUN! Experience the "Real" Hawaii. During your 60 minute virtual walk in a botanical garden in Hawaii, you'll enjoy the lush green scenery and the sounds of nature around you. 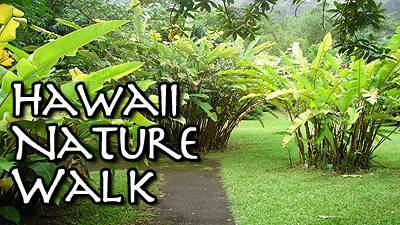 Your one hour Hawaii Nature Walk begins beside a 32 acre lake located within a 400 acre botanical garden. You turn and walk along the edge of the lake populated with ducks, geese, fish, and assorted fishermen (catch and release only). 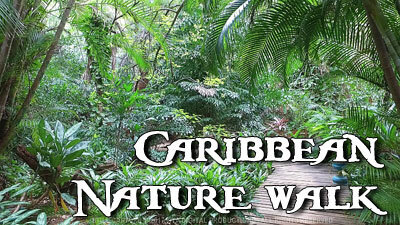 This is such a beautiful location for a walk with numerous tropical trees and colorful flowers. From time to time you pause to enjoy the vista before you then move on through more tropical scenery. The garden includes many types of palms and tropical plants including Frangipani trees. Waterfowl, including ducks, abound in Hawaii and are a joy to feed and fun to watch. Your one hour nature walk continues around the lake to a bridge before continuing on a path beside the lake. You turn away from the lake and the scenery begins to change and you enter a short hiking trail that winds its way through a "tunnel of trees." The garden is big and a great place for a casual walk, picnic, or even to exercise and the backdrop of the mountains is reminiscent of "Jurassic Park." In this section of your walk, the fresh Kaneohe breeze picks up. Reversing your directions you once again cross a bridge and walk beside the lake stopping to look at a mature pineapple tree. Your one-hour nature walk ends with a stunning view of the lake and the Ko'olau Mountains. 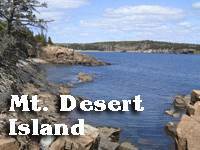 Take a 60 minute widescreen virtual walk through scenic Acadia National Park on Mount Desert Island in Maine. You'll follow a scenic path beside a forest stream and then walk along the rocky seashore while listening to the actual sounds of nature as they were recorded on site in Maine. Filmed in Widescreen with a High Definition* television camera, you'll experience Maine's beautiful scenery, varied topography and vegetation, and breathtaking views in this one hour scenery video. From time to time the camera pauses briefly to take in the beautiful vistas. This video captures the "real" Maine in early May when few tourists visit. The 60 minute treadmill walk is accompanied by the natural sounds just as they were recorded in Dolby stereo in Maine. 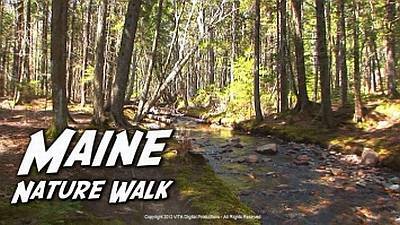 One Customer who purchased the "Maine Nature Walk" wrote: "I purchased Maine and 8 other of your Virtual Walk DVDS. I am very satisfied with these, as they have attributed to about a 30 lb. weight loss since January. I notice you have 3 that I don't have and want to order them. Thanks, Chris"
Another Customer who purchased our "Maine Nature Walk DVD" from our AMAZON Store wrote: "This is my third Vita Dvd. They are all great. I am using them with my exercise bike because of knee trouble. I find that I enjoy them just as much as I would walking on my treadmill. The photography is excellent and I enjoy the slower walking pace which let's you really take in the scenery. This dvd is very relaxing. It is a good one to watch when you just want to chill out. I just finished watching Cotswold Villages Virtual Walk 1, and Exotic Istanbul. They are amazing! I highly recommend Vita DVD's. I am so glad I discovered them a couple of weeks ago. C.R." Experience the "Real" Florida. During your 60 minute virtual walk in the authentic Florida, you'll delight in the lush green scenery and the sounds of nature around you. 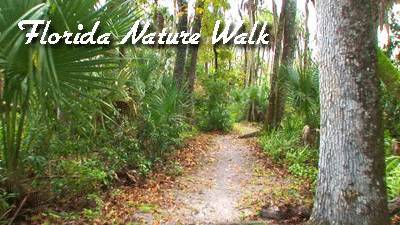 The walk first takes you into an ancient Florida forest filled with palms and live oaks. Later, you will enter a typical Cypress swamp alive with green plants. The 60 minute treadmill walk is accompanied by the natural sounds just as they were recorded in stereo in Florida. If you desire quiet and solitude, this is the video for you! A second 60 minute virtual walk fimed in the "Old Florida" where nature still rules. 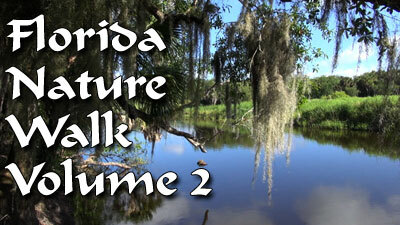 Experience the "Real" Florida with a second 1 hour virtual walk in two different sections of Florida. The 60 minute virtual walk first takes you into an ancient forest near the west coast of Florida where you'll experience hammocks, pinelands, and a rare Florida dry prairie. Later, you will experience a forest near the east coast that is preserved in its natural and unspoiled state. The 60 minute treadmill walk is accompanied by the natural sounds just as they were recorded in stereo in Florida. Experience all four seasons in just an hour. 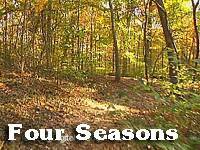 Your Four Seasons treadmill walk begins on a bright summer morning where you will find yourself immersed in a sea of green foliage and, as your walk continues along the same path, you see the forest change to autumn, winter, and then to its rebirth in springtime. And, as a Bonus Chapter, you get "Springtime," a 10 minute featurette on beautiful springtime flowers and ferns is also included on the DVD! Set to beautiful music, this chapter has numerous closeups of wildflowers and ferns. One Customer who purchased the "Four Seasons" video wrote: "I just watched the Four Seasons video. I'm a native Californian and, although it does happen relatively dramatically in parts of the state, I've rarely seen obvious signs of seasons changing in my daily life. It was SO interesting to watch the changes along the same path right before my eyes. What an interesting concept you had in doing this. How moving it is allegorically as well. Further, the mini-doc on flowers and ferns is so lovely .. offering the things one would focus on while walking past but you can't safely with a camera while continuing walking. My biggest compliment is for the very rare pleasure of experiencing editing to the phrases of the music. There should be whole semesters/years on this in film schools and specialists sitting with non-musical editors because it makes such a difference. Very often you made gentle transitions as the music went from one phrase to the next and I loved how you would slowly zoom in on a flower and hold the shot through the climax of the phrase. Well done! I'm not sure which came first, the film or music, but if it were the film, it was photographed with uncanny musical timing. However it happened, I appreciated and got great pleasure from it. I'm looking forward to the rest - and ones coming in the future. I'm slowly savoring them since I know I'll be living with them for a long time. Thank you for these and for making my ordering so easy that night I was doing them one by one, Janet"
Take a 60 minute walk on Hawaii's scenic Hau'ula Trail, located on the North Shore of Oahu. 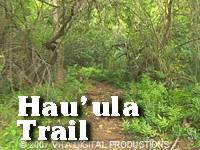 The Hau'ula Trail is a 2.5 mile loop not far from the Polynesian Cultural Center on Oahu and is one of the best hiking experiences on the island. You enter the trail through an opening in the forest with a carpet of ferns. Your treadmill walk takes you uphill, through varied types of green plants, and from time to time along the trail, you stop to enjoy the amazing views - either inland to misty volcanic Koolau Mountains or seaward towards the blue Pacific. And as a Bonus Chapter you get "Hawaiian Seascapes," an 18-minute featurette focusing on the beaches of two beautiful Hawaiian islands, is also included on this DVD! The featurette takes a look at the wide variety of coastlines on both Oahu and Kauai. Accompanied by a combination of lush, New Age and Light Classical Music, the bonus chapter can be used as a cool-down from your exercise session or, a beautiful stand-alone Hawaii travel video that can be enjoyed all by itself. You'll take a leisurely look at some of the most scenic vistas in Hawaii and you may recognize some sites used in the movie musical, "South Pacific." The 18 minute featurette ends with a montage of glorious sunsets from around the islands. One Customer who purchased the "Hau'ula Trail" video wrote: "I want you to know how much I enjoyed the hike on the North Shore! I actually walked most of it this afternoon, it was great! I really enjoyed hearing all the birds. You know, of all the times we have been over there, we have not done that particular hike. I thought it was very well done. And the seascapes were fantastic! You really captured the Hawaii I have come to love so very much. Mahalo for such a wonderful DVD! Susan"
"5.0 out of 5 stars - Wonderful Workout! - By hysteria2 on June 1, 2014 - Verified Purchase - I just worked out in Hawaii! This is a wonderful hour long workout. The scenery is beautiful. Lots of lush tropical foliage, which is a refreshing change from the desert I call home. As the trail gets steeper, the vegetation reflects the change in altitude. And the hiker is rewarded with a beautiful view of the ocean toward the end of the hike. The workout is as challenging as you want to make it. Be ready to go uphill! The hour just flew by. At the end of the workout you have the option to use the Hawaiian beach section as a cool down. Thanks for making exercise so enjoyable!" 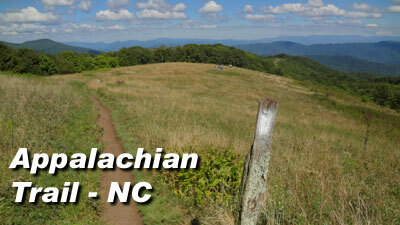 Take a 60 minute treadmill virtual walk along two scenic sections of the Appalachian Trail in North Carolina. Your 60 minute Appalachian Trail Virtual Walk in North Carolina begins at Lover's Leap promentory, on the Appalachian Trail overlooking the French Broad River. You begin by walking down the narrow mountainside trail with its numerous switch-backs, across the French Broad River Bridge and into and through the small town of Hot Springs - the only town in North Carolina which the Appalachian Trail goes through the center of town. Next, after following the historic A.T. through another section of dense woodlands with green ferns lining the forest floor you move to Max Patch Mountain where the Appalachian Trail goes right across the top of the bald mountain known for its scenic vistas in every direction. Your 61 minute walk in Quebec City begins at the Fontaine de Tourny, in front of Quebec's Parliament Building. Soon you pass through the massive stone fortification wall and enter Vieux-Québec (Old Quebec).As you continue down Rue Saint Louis, you pass numerous restaurants. During your walking tour of Quebec, you discover several small parks and onto Quebec's famous Dufferin Terrace and Promenade des Gouverneurs boardwalk, with its views of the St. Lawrence and Chateau Frontenac in the distance. When the boardwalk ends, you turn and enter an area populated with outdoor cafes and artwork displayed for sale. 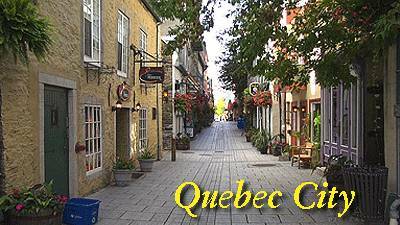 You walking tour also includes Lower Quebec and the quaint Rue du Petit-Champlain. Without doubt, Rue du Petit-Champlain is one of the most charming and colorful streets in the world. Lined with shops and boutiques, this little street is a gem! At the end of Rue du Petit-Champlain, you turn and head north on Boulevard Champlain - also lined with one-of-a-kind shops and restaurants. Leaving Lower Town, you move to the Plains of Abraham, once an historic battlefield, but today a quiet park with beautiful vistas and scenic views of the St. Lawrence plus beautiful hardscaping and hills with even more scenic views of the river. Leaving the peaceful Plains of Abraham, you cross a busy street and approach another historic city landmark, Quebec's Parliament Building. You pass by the front of Parliament Building, with its statues of famous Canadians, and, after crossing the square in front of Parliament Building, your 61 minute walk ends at its starting point, the beautiful Fontaine de Tourny. Take a 60 minute Virtual Bike Ride in scenic Cornwall, England. 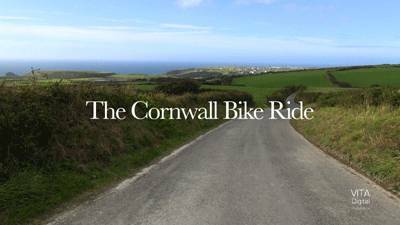 The twelfth in our ever growing series of Virtual Bike Ride Videos has a 60 minute widescreen virtual cycling tour in scenic Cornwall in rural northwestern England. Your 60 minute Virtual Bike Ride begins in rural Cornwall. After starting with a view of the coast in the distance, you pass hedgerows so typical of rural England. Around every turn on this one hour cycling scenery video there is something new to make your ride pleasant. Flowers, especially hydrangeas, are lush and numerous in August in Cornwall. Moving on, our route takes us briefly into a residential area but even this area is scenic. Then it's back into rural Cornwall with its wide vistas and puffy clouds. You will occasionally see a windmill in the distance in this area of northwest England. We next return to the coastal road and enjoy the view as we cycle downhill. The one lane road transports us past some beautiful coastal views and briefly into the seacoast village of Port Isaac, the filming location for the PBS series, "Doc Martin." The last section of your 60 minute Cornwall Virtual Bike Ride begins with a breathtaking vista of the coast. As you descend the hill, you pass a few homes as you proceed downhill and some intrepid British hikers. Your one hour Cornwall Bike Ride ends at a footpath to the beach. 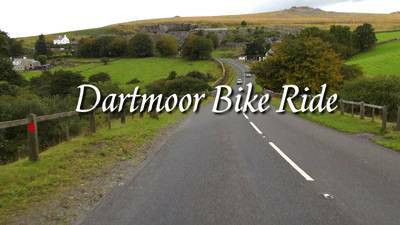 Take a 60 minute Virtual Bike Ride in Devon's striking Dartmoor. The eleventh in our ever growing series of Virtual Bike Ride Videos has a 60 minute widescreen virtual cycling tour in the Your one hour Cycling Scenery Video begins in the Devon village of Moretonhampstead, an often utilized staging area for serious cyclists. After leaving the village proper, you are cycling between the hedgerows so typical of rural Devon and, from time to time, pass other cyclists on this scenic route. Our route passes the entrance to a stately English castle and, further on, leads us between old rock walls laden with green plants and ferns. The rural Devon scenery is constantly changing and always interesting. Dartmoor National Park was utilized for part of Stage 7 of the 2012 Tour of Britain. The next section of our cycling route has twists and turns which reveal scenic vistas in the distance. Around almost every turn there's some new delight to enjoy. Eventually the Devon terrain changes to the typical Dartmoor landscape of uncultivated hill land with low growing vegetation with occasional sheep grazing along the edge of the roadway. And, after passing several large "Tors" in the distance, your one-hour Dartmoor Cycling Scenery Video ends on a gravel side road. 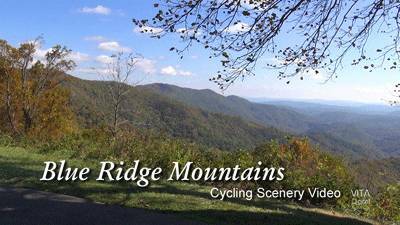 Take a 60 minute Virtual Bike Ride in the scenic Blue Ridge Mountains. The tenth in our new series of Virtual Jog or Bike Ride Videos has a 60 minute widescreen virtual tour in the scenic Blue Ridge Mountains of North Carolina. Your one hour Cycling Scenery Video begins in the Blue Ridge Mountains just outside the village of Linville, NC on scenic US 221. The winding road passes under a canopy of trees just beginning to display their autumn colors. The deep greens of the summer forest are transitioning into the rich colors of autumn. The second half of your Cycling Scenery Video switches to the famous Blue Ridge Parkway, the perfect locale for cyclists. Your uphill climb is made easier by the magnificent scenery that surrounds you. This section of the Parkway is filled with lush greenscapes and scenic vistas. Your one hour Cycling Scenery Video ends at the appropriately named Grandview Overlook, milepost 281, with a spectacular view of the Yadkin Valley. Take a 60 minute Virtual Bike Ride along the scenic Angeles Crest Highway in Southern California. This is one of our fastest bike rides with speeds averaging between 20 and 40 miles per hour. Your 60 minute Virtual Bike Ride begins at scenic Cloud Burst Summit on the Angeles Crest Highway at an elevation of 7,018 feet. Your mostly downhill route heads westward in the San Gabriel Mountains. The road winds through the scenic Angeles National Forest where development is very limited. During the 1 hour bike ride you take one detour onto the road up to the Mt. Wilson Observatory which is enclosed in a cloud. 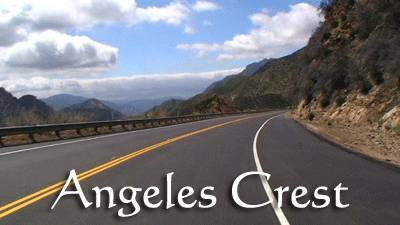 One Customer who purchased the Angeles Crest DVD from our AMAZON Store said, "This is a masterpiece! I felt as if I were actually taking that ride through the mountain twists, turns, and into heavy fog...." Read the rest of this Customer's Review on our Feedback page. Take a 60 minute Virtual Jog or Bike Ride along the beautiful Natchez Trace Parkway in Mississippi! The eighth in our new series of Virtual Jog or Bike Ride DVDs has a 60 minute widescreen virtual tour along the scenic Natchez Trace Parkway, stretching from Nashville, Tennessee to Natchez, Mississippi. 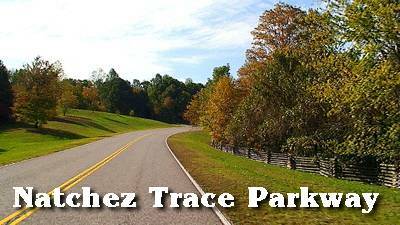 The Natchez Trace Parkway Virtual Jog or Bike Ride Video begins at the northern entrance of the parkway just outside of Nashville, Tennessee. As you head southward, you note that the trees are beginning to change to their vivid Autumn colors. Further south, the trees are still green and the parkway parallels the shore of the Ross R. Barnett Reservoir. The parkway swings away from the reservoir for a few miles and enters a lush green forest before returning to the shore of the 33,000-acre lake for a number of miles. We pass over one last scenic bridge before coming to the southern terminus of the scenic Natchez Trace Parkway outside of Natchez, Mississippi. This DVD lets you experience the natural, scenic wonder of the Natchez Trace Parkway on an Autumn day! Take a 60 minute Virtual Jog or Bike Ride along the scenic Mahone Bay in Nova Scotia! The seventh in our new series of Virtual Jog or Bike Ride DVDs has a 60 minute widescreen virtual tour along the picturesque Mahone Bay, one of the most beautiful sections of eastern Nova Scotia. The first section of your 60 minute virtual ride or jog begins on this peaceful road located just south of the Village of Mahone Bay. As you head northward, you follow the winding road which almost always follows the coastline. Soon you enter the outskirts of the small village of Mahone Bay. Flowers are blooming everywhere in this scenic seaside village. The scenery changes as the camera next enters the village of Chester, Nova Scotia. The viewer passes the Tancook Island Ferry Dock on Water Street. Leaving Chester, the road heads northeast along the bay. For most of the hour long DVD, the road follows the bay. The terrain changes, but the bay is almost always in view. Near Mill Cove, the camera explores a dirt road along the shore. Soon, the road to Peggys Cove comes into view. Peggys Cove is the quintessential Canadian fishing village and the subject of photographers, professional and amateur, from around the world. 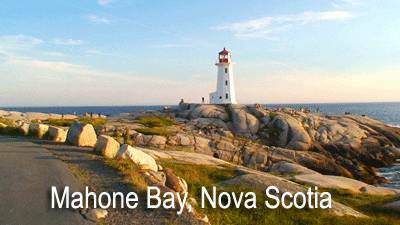 Your 60 minute virtual tour ends at the picturesque Peggys Cove Lighthouse. One Customer who purchased the Mahone Bay DVD said, "I just wanted to thank you for your videos - I've been able to increase the time I spend exercising, which pleases my doctor no end! I especially wanted to tell you that your Mahone Bay is the perfect exercise video - an enticing mixture of lovely countryside, seashore and village. Exactly the kind of bike ride I would take myself if I could. I have stayed longer than I needed to on the bike just to keep watching! Thank you so much! Eren"
This DVD lets you experience the natural, scenic wonder of Nova Scotia's Mahone Bay on a summer's day! Filmed in Widescreen. 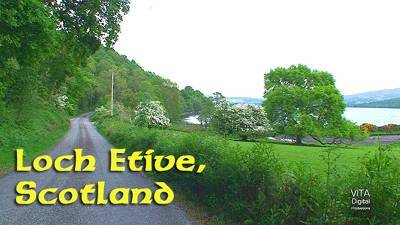 Take a 60 minute Virtual Jog or Bike Ride in beautiful rural Argyll, Scotland! This Virtual Jog or Bike Ride begins in a peaceful scottish glen. Soon you sight the first of the many grazing sheep to be discovered on this narrow winding road. Lambs and their mothers scamper across the road in front of you as road continues to pull you forward through scenic terrain. Next, the viewer enters a more wooded section of Argyll and after passing over a narrow bridge, the road continues to curve ahead you pass a quaint stone cottage. The scenery, everchanging, continues to be interesting and beautiful with Rhododendron in bloom. Your 60 minute virtual tour ends at the shore of Loch Awe. 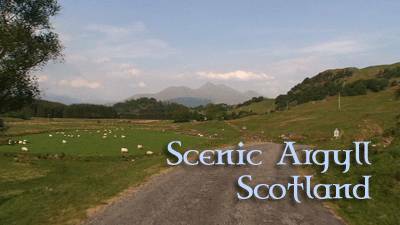 This DVD lets you experience the natural, scenic wonder of rural County Argyll on a spring day! One Customer who purchased the "Scenic Argyll" video wrote: "I need more cycling DVD's...just love them!!!! Went to Argyll today and had too much fun telling the sheep to get out of the road and waved thanks to drivers who pulled off to the side of the road to let us by. The sheep are the size of cows; really wanted to stop on the shoreline for a picnic! This one is my favorite!!!! Thanks for a wonderful product! Margie"
Take a 59 minute Virtual Jog or Bike Ride along the shore of Loch Etive, Scotland! This Virtual Jog or Bike Ride begins by Loch Etive, in the Highlands, one of the most beautiful areas of Scotland. You'll jog or bike through beautiful scenery featuring ancient rock walls, varied topography and vegetation, and breathtaking views as you circle the loch. This virtual tour along the Loch Etive, is near the seaport city of Oban, in the western part of Scotland. Filmed at speeds of 10 to 15 mph, it's the perfect accessory for your treadmill, spinner, recumbent or upright bike. This DVD lets you experience the natural, scenic wonder of the Scottish Highlands on a spring day! One Customer who purchased our Loch Etive DVD from our AMAZON Store wrote, "After doing Ancestry.com for a solid 3 months (every night/3 to 4 hours a night), we wanted to visualize the scenery rather than look at YouTube videos and images online. Great price and goes well in our ancestral video library. Dr. J.L." Take a 62 minute Virtual Jog/Bike Ride on the famous Sky Road in Connemara, Ireland! This Virtual Jog or Bike Ride begins by Lough (Lake) Corrib, in one of the most beautiful areas of Ireland (County Galway). You'll speed through (at 12 to 15 mph) beautiful scenery featuring ancient rock walls, varied topography and vegetation, and breathtaking views as you climb ever higher. This DVD lets you experience the natural, rugged coast of Ireland from an eye-popping vantage point on a beautiful spring day in May! This is a view which few cyclists or joggers ever get to enjoy. Take a 60 minute Virtual Bike Ride on the Emerald Isle! This is our fastest virtual bike ride to date, with speeds ranging from a leisurely 12 mph to upwards of 45 mph on a few downhill regions! 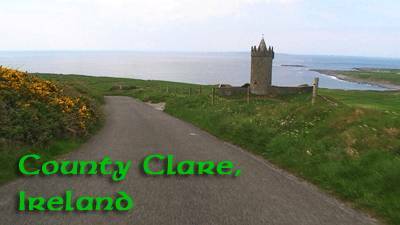 Beginning in western Ireland in scenic County Clare, you'll travel through two small coastal Irish villages during this 60 minute DVD. 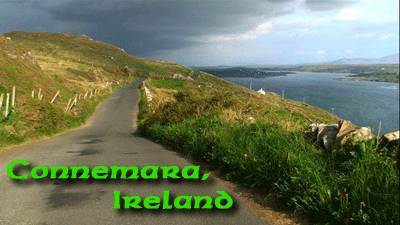 Loaded with beautiful Irish spring scenery, you'll delight in this virtual bike ride DVD. This is Volume 2 of our Ireland Bike Ride series. This DVD gives you the opportunity to enjoy one of the finest biking areas in the world - and no worries about traffic, angry dogs, or a sudden rain storm. One Customer who purchased the "County Clare" video wrote: "I am thrilled with the first one I used tonight, and expect that all of them will be as good. These are going to make my treadmill time fly. I found myself so absorbed in the video that I would look off to the left or right trying to see the ocean or a farm, because I really felt like I was there. I love to walk and ride a recumbent tricycle in good weather, and interesting scenery will often pull me right along. Since it's 14 degrees and icy outside, I'm very happy to have these DVDs for my inside walks. I think they will be everything I hoped for, if "County Clare" is any indication! Thank you! Linda"
Take a 60 minute jog or bike ride from the top of Acadia National Park's Cadillac Mountain down to the park's beautiful 26 mile Loop Road. The first part of your 60 minute bike ride begins at the peak of Cadillac Mountain, in Acadia National Park. At an elevation of 1,530 feet, the mountain is the highest point on the eastern seaboard. As you begin your descent, a group of cyclists race by on their way down the mountain. You're traveling at 12 miles per hour, the cyclists, much faster. In early May, when this virtual jog or bike ride was filmed, there was still some snow on the ground. Your descent down Cadillac Mountain continues following the twisting park road. After 15 minutes of descent, you turn onto the 26 mile park loop road where one minute you are deep in a forest, the next, beside the blue ocean. Your 60 minute Bike Ride on Mt. Desert Island ends at Acadia National Park's carriage house. "Down East," a bonus chapter with a 14-minute featurette on the rocky seacoast, the clear forest streams, and harbors in this part of Maine, is also included on the DVD version. 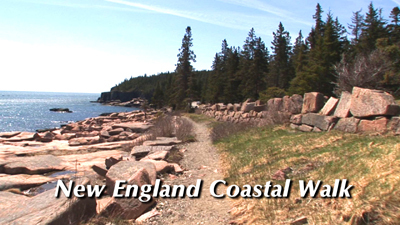 The featurette takes a closer look at the wide variety of scenic areas found in and around the coast of Maine. Accompanied by lush New Age Music, the bonus chapter can be used as a cool-down from your exercise session or, a beautiful stand-alone Maine travel video that can be enjoyed all by itself. One Customer who purchased the "Mt. Desert Island" video wrote: "I just ordered your DVD on Mt. Desert Island, Maine. While I mainly got it because we are planning a trip in a few days to Mt. Desert Island and I wanted to see what it was like, I had the idea that I would use it to exercise on my elliptical as your reviews say it is great for that. I began watching it just for the sights and thought, well this will be silly to put on as I exercise although it was beautiful to watch. But just for the heck of it I put it on and got on the exercise machine and I was hooked. I felt like I was jogging down Cadillac Mountain and I really enjoyed it! Thank you so much for the fast shipping and the beautiful job you did. Thanks. Janice"
Take a 60 minute Virtual Bike Ride through some of the most beautiful (and expensive) real estate in America. IMPORTANT: This Virtual Bike Ride is typical of what you would see if you biked the Hollywood Hills today which includes numerous cars parked along the street plus many trash cans. 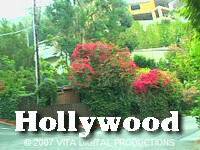 You'll experience the real Hollywood as you ride past the homes of the rich and famous. Who knows how many famous celebrity homes you will pass on this Virtual Bike Ride. One thing is for certain, early on you will pass the home of an famous heiress who, at the time this video was filmed, was in jail. Look for the yellow ribbons outside her home awaiting her release. This Virtual Bike Ride varies in speed from 10 to 20 miles per hour and, after riding on Mulholland Drive at sunset, the 1 hour Virtual Bike Ride ends on fabulous Hollywood Boulevard at night. One Customer who purchased the "Hollywood Hills" video wrote: "I just want you to know that you have some wonderful dvds on your site and I shall be checking your site from time to time, I am very pleased with what I have already purchased from you, The Hollywood hills dvd was just so wonderful I really enjoyed it, I have been looking around for these dvds for such a long time, I just cannot find them anywhere in England to purchase these, and I thought I`d go on the internet and your site came up and I was so impressed with them. So keep making these dvds I shall definitely purchase more from you!!!!! 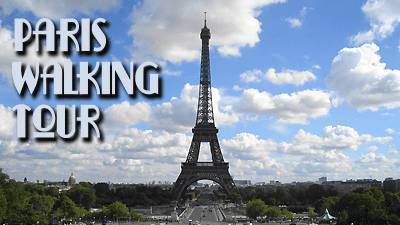 Many Thanks, Sheila"
Take a 60 minute Virtual Cruise on the Seine River in Paris, France! Now you can experience the beauty and magic of the most romantic river in the world - the River Seine - the beating heart of Paris and the division between the Left and the Right Banks. "The Seine River Cruise" will allow you to experience the magic and the romance of both a day and an evening cruise on the famous river. The first half of your Seine River Cruise takes place on a beautiful September day. Accompanied by light classical music, your virtual experience cruise begins at the southeast end of Ile Saint-Louis and heads northeastward and soon goes under Ponte de Sully, the first of many Paris bridges you will encounter on this one hour video. 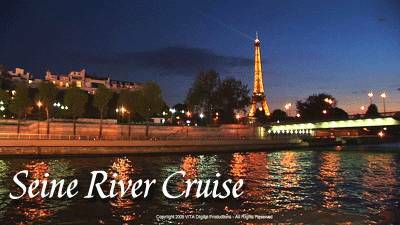 The second half of this 1-hour Virtual Cruise takes place in the evening and is filled with colored lights reflecting in the Seine as you approach the Eiffel Tower. Filmed in Widescreen with professional television cameras, this is certainly one of our most beautiful Virtual Experience Videos. Appian Way -- Enchanting Burano -- Rome, La Dolce Vita! A 30 minute walk in the English countryside. Your treadmill walk begins in the village of Eynsford, Kent. Called a "picture postcard" village, Eynsford retains all of the charm and grace of a bygone era. From there it's a beautiful walk through the countryside and past several farms. Then you follow a narrow footpath, canopied by lush green trees, beside the River Darent. Crossing an ancient bridge, your 30 minute walk ends as you arrive in Shoreham, a "cracking little village," known for its many ale houses, and where it's not at all unusual for a horse and rider to slowly amble down the street. This walk comes with a choice of two soundtracks: You may choose to listen to the lively, upbeat music suitable for walking on your treadmill or you may choose to hear the natural sounds as they were recorded on site in Kent. Both stereo soundtracks are included on the DVD! This video was filmed in Standard Defintion and is 4x3 screen format. 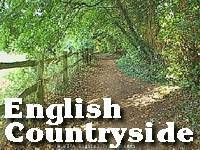 One Customer who purchased the "English Countryside" video wrote: "I just ordered my second set of 4 dvds for the treadmill. While I don't think exercise will ever be my favorite thing, your dvds have certainly improved the experience. We bought a flat screen tv to put on the wall above the treadmill, so I really get into the dvds while walking. The first time I used the English Countryside video, I remember thinking as I was walking, "boy, this path is getting narrow & those plants look kind of prickly." It's so much like you're really there. Just wanted to say thank you for coming up with such a great idea. Lindsay"
A 30 minute walk in two of London's best kept secrets. The first half of your treadmill walk begins in London's "Little Venice," a section of the Regent's Canal just north of Kensington Gardens. The narrowboats you pass along the towpath have kept alive a folk art tradition: elaborately-painted panels featuring harlequin designs. The second section of your walk begins in the Canonbury section of London, in Islington, on the New River Walk. You'll enjoy the walk beside a tranquil stream, over a narrow wooden bridge and through the beautifully landscaped park. This walk comes with a choice of two soundtracks: You may choose to listen to the lively, upbeat music suitable for walking on your treadmill or you may choose to hear the natural sounds as they were recorded on site in London. Both stereo soundtracks are included on the DVD! 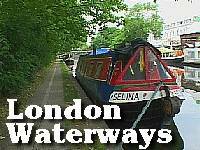 One Customer who purchased the "London Waterways" video wrote: "I just used the waterway walk from the 4 that I ordered of England, and just has to tell you how totally thrilled I was with the DVD - thank you so much. It was scenic, wonderfully clear and photographed perfectly - this was the first time in months that I was able to complete 30 minutes on the treadmill without cheating! My cardiologist will be thrilled - I am going to recommend to all my friends and everyone I know at work check out and buy your DVDs - thanks again - looking forward to using all the others! Totally RAVE review from this end! R."
Experience romantic Venice, a city unique in all the world! This 30 minute virtual walk begins as Venice comes to life in the early morning. As you walk the narrow passageways, you can almost smell the cappuccino as vendors open their shops. The first half of your early April morning walk ends as you arrive in historic St. Mark's Square, called by Napoleon, "The finest drawing room in Europe." Enjoy this one-of-a-kind treasure filmed in the springtime. This virtual walk DVD comes with a choice of two soundtracks: You may choose to listen to the lively, upbeat music suitable for walking on your treadmill or you may choose to hear the natural sounds as they were recorded on site in Venice. Both the music and natural sounds soundtracks in stereo are included on the DVD! Your 30 minute walk begins high in the Valle dei Mulini, the famous "Valley of the Paper Mills," overlooking the villiage of Amalfi and the blue Mediterranean. As you wind your way down the hillside and past lemon groves into the little village of Amalfi and into the piazza by the cathedral, you pass dozens of residents and tourist, all enjoying the Italian scenery. Your 30 minute Amalfi walk ends as you reach a small beach. 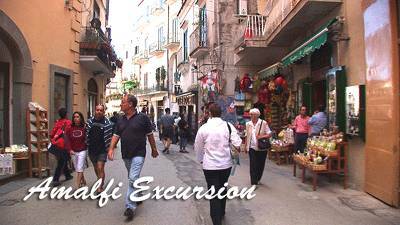 This DVD comes with a choice of two soundtracks: You may choose to listen to the lively, upbeat music suitable for walking on your treadmill or you may choose to hear the natural sounds as they were recorded on site in Amalfi. Both music and natural sounds soundtracks are included on the DVD! One young lady in San Francisco who purchased this DVD wrote initially that her fiance is from Amalfi and that after they're married, he will have to return there on business for one month every year. She wanted the DVD to "experience" Amalfi while they were apart each year. After receiving the Amalfi Treadmill DVD in the mail, she wrote to tell us that her fiance is een on the DVD! What a coincident that he was standing on the street on the day I was filming this Virtual Walk. She was thrilled! "5.0 out of 5 stars - What a great virtual travel experience with exercise benefits as you view it on your exercise equipment from home. - By Bold Consumer TOP 1000 REVIEWER VINE VOICE on November 18, 2013 - Verified Purchase - I very much enjoyed Amalfi Excursion by Virtual Walk. I got it because it was a similar location to some that I visited but needed more time to enjoy. I had wanted to experience walking the island, briefly visiting the little villages. The Amalfi Excursion allowed me to do that while on my treadmill or elliptical machine. I very much enjoyed the description of what we were passing. Otherwise I think I would have missed out on some of it, not knowing what it was, as is typical on real-life travel excursions. I'm going to see if I can find similar videos for some of the islands and locations that I did visit in real life, but didn't get to spend as much time as I would have liked. The exercise benefits are excellent as well. The exercise stays at a good level because there is lots of climbing. The time just seemed to fly by. This is a good one to view over and over again." Take a walk on the Most Historic Road in the World! 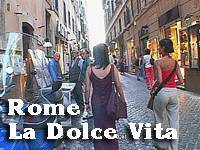 Your 30 minute treadmill walk begins in a fashionable residential area on the outskirts of Rome. As the Via Appia Antica narrows, you see the original basalt stones which have witnessed over two thousand years of history. You are walking the same stones that were walked by Saint Peter and Saint Paul, and thousands of Roman centurions - a truly historic walk! You almost feel a part of ancient history, as you walk between stately cypress trees which are so much a trademark of the Roman countryside. 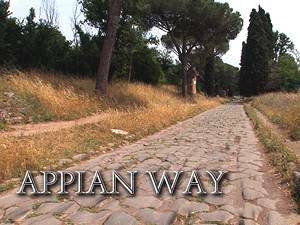 This DVD comes with a choice of two soundtracks: You may choose to listen to the lively, upbeat music suitable for walking on your treadmill or you may choose to hear the natural sounds as they were recorded on site on the Appian Way. Both music and natural sounds soundtracks (in stereo) are included on the DVD! Your 33 minute Burano treadmill walk begins at the vaparetto stop as you arrive on the island from Venice. You will walk the streets with the locals as they go about their day-to-day activities. Everywhere you look on this island you will see how important a part the primary colors play in the very life of Burano. The tiny houses and shops lining the canals form a delightful palette for the eye, and great attention is paid to little details of color in this ancient village. This walk comes with a choice of two soundtracks: You may choose to listen to the lively, upbeat music suitable for walking on your treadmill or you may choose to hear the natural sounds as they were recorded on site in Burano. Both stereo soundtracks are included on the DVD! 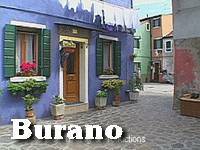 One Customer who purchased the "Enchanting Burano" video wrote: "Wow! I love my new Burano DVD and now have it on my IPOD for use in the gym. It is amazing!!! Mary Beth"
A 30 minute walk in Rome. The first half of the treadmill walk takes you down the exclusive Via Veneto, forever linked to "La Dolce Vita." As the Via Veneto curves gently and sweeps downhill, you pass luxury hotels and restaurants with their unique glass-enclosed "outdoor" cafes. The second section of your walk begins on the Ponte Sisto which spans the Tiber River, and continues through the colorful narrow streets surrounding the Campo de' Fiori. See Rome as the Italians do - Bella! This walk comes with a choice of two soundtracks: You may choose to listen to the lively, upbeat music suitable for walking on your treadmill or you may choose to hear the natural sounds as they were recorded on site in Rome. Both stereo soundtracks are included on the DVD! One Customer who purchased the "Rome - La Dolce Vita" video wrote: "We LOVE the 3 Italian DVDs. They are magnificent! We have played them several times already and we are seeing new things each time. You stop and pause exactly where we want you to pause. We truly look forward to the new Italian releases. Thanks for adding a bit of happiness to many lives, we greatly appreciate your work. Norma"
Note: This may be our slowest Virtual Walk. Autumn Seascapes is not a Virtual Walk but a virtual visit to the beach accompanied by beautiful music. From light jazz to "Clair de Lune" and "Arabesque," the music complements the beach scenes to perfection. 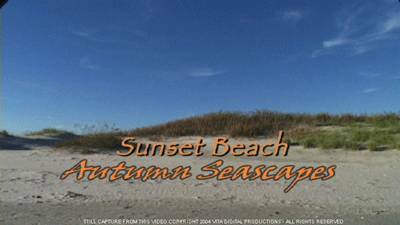 Filmed in November 2004 at Sunset Beach, North Carolina, this DVD lets you experience the seashore in a private and personal way. You'll enjoy watching the pelicans swooping low over the water in search of fish. You will smile as seagulls take vigorous baths in the surf, all in time to the music! You'll watch the antique single-lane Sunset Pontoon Swing bridge on the Intracoastal Waterway slowly open for waiting boats. You'll see a sailboat bound for a winter-season in Florida make its way through the bridge opening. Sadly, the unique pontoon swing bridge has been removed and replaced by a high four lane modern bridge.And best of all, you'll witness a multi-colored November sunrise accompanied by light Classical Music in Dolby Stereo. This video was filmed in Standard Defintion but is in Widescreen.